Christmas in Malta is celebrated in grand style as the Maltese love to decorate their homes with all sorts of decorations and the holiday spirit can be felt all over the islands. December in Malta is mild with temperatures ranging between 10 and 22 degrees. 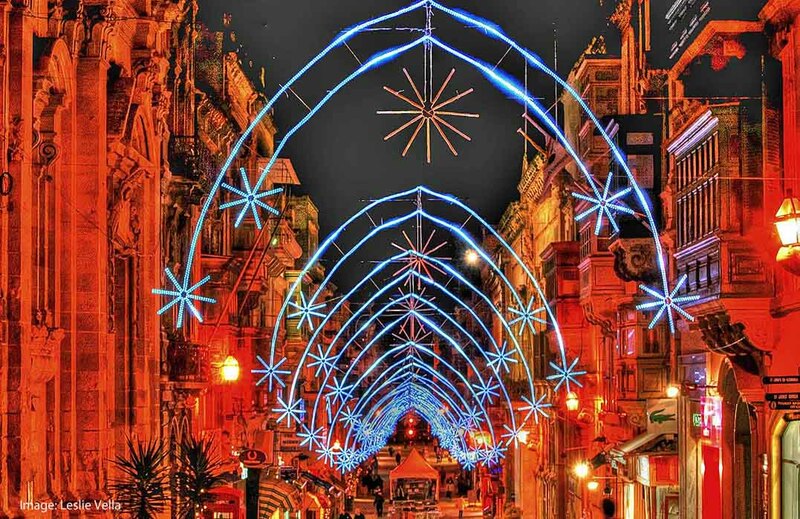 The streets of Valletta and other major shopping areas are adorned with beautiful Christmas lights and many shopping centres play Christmas carols throughout the festive month. As in the rest of the Christian world, Christmas is a highly celebrated event in Malta. Whereas the significance of the religious aspect of the feast has been overshadowed by its commercial aspect in so many places, the central theme of the Nativity still plays a significant role in the islands and Christmas traditions are very much alive and mostly family oriented. The highlight of Christmas festivities is reached on the 24th December when at night (normally around 8 or 9pm) Midnight Mass is celebrated in most churches, an event that is still highly patronised by the locals. The main Christmas celebration starts on Christmas Eve when late at night a procession is held, leading to the local church, with children dressed up as the Virgin Mary, St. Joseph, The Three Wise Men and shepherds. Some processions even include a new born baby instead of a doll to represent baby Jesus. The Mass is characterised by a particular Maltese trait called The Sermon of the Child (Il-Priedka tat-Tifel) - a Christmas sermon delivered by a young boy or girl in the 7 to 10 year old bracket. It is a tradition that has survived from the late nineteenth century. Once in the church, the procession is usually transformed to a pageant with children singing and dancing. After that the typical 'Priedka tat-tifel' (Christmas homily given a child) is held. The sermon is usually a few thoughts for the Christmas period seen from a child's sincere point of view and usually brings smiles on all the listeners. This is then followed by the Christmas midnight mass. After mass, some go back home to open their presents. Lately, Christmas breakfasts have also become common and are organised at many hotels. A Christmas highlight, which is popular for children and adults alike, is the annual pantomime held at the Manoel Theatre and at other venues. It's a happy mix of good slapstick humour for children and satire for adults. 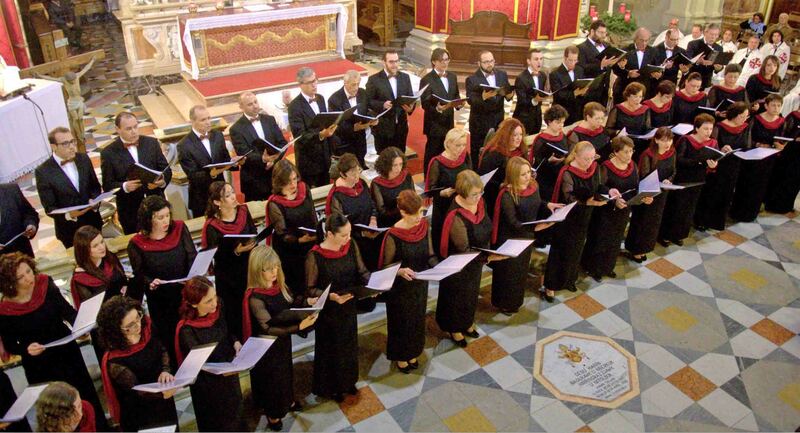 Popular Christmas carols have been translated in Maltese, however Fr. Andrew Schembri (1774-1862) wrote a couple of original Maltese Christmas carols including 'Ninni la tibkix izjed' (Sleep, don't cry anymore), this lullaby for Baby Jesus is one of the most popular carols in Malta. Houses in Malta are also decorated with typical twinkling lights and Christmas trees and the traditional crib 'Presepju'. Cribs are made of newspapers which are moulded, glued and painted to resemble a cave. 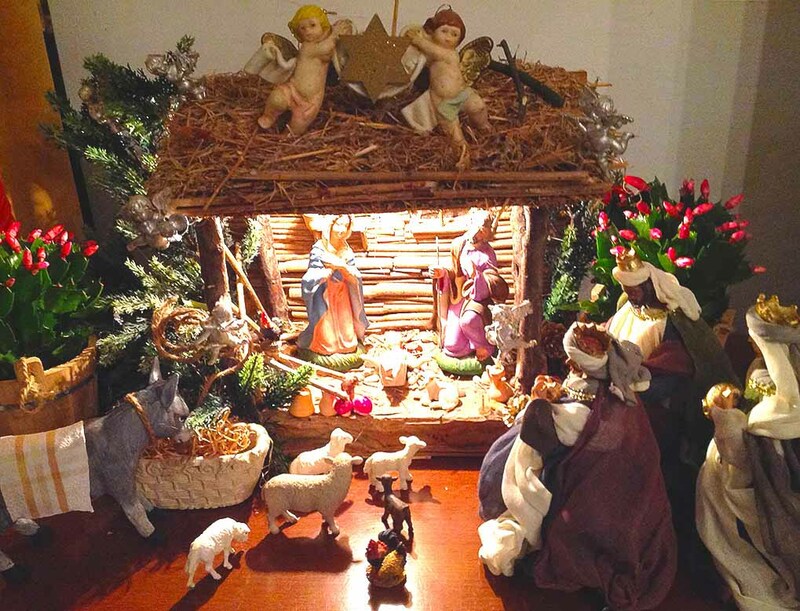 Small clay or plastic statues are then placed in the crib. These cribs can vary in size and some don't only include the cave but feature entire village of Bethlehem. The more elaborate ones even include mechanical moving objects like windmills, moving donkeys and lights. Flowing rivers are also common; these cribs are then placed in front of the window on street level. There are also cribs which occupy a whole room and are open to visitors at a small charge or donation. In some Maltese villages you might even come across a live crib which includes real animals and people dressed in costumes. Others are more creative and use a variety of materials like balsa wood or even small rocks picked off garigue terrain for the purpose. The Nativity Crib tradition owes its origins to Saint Francis of Assisi who lived in the 12th century but entered Malta only much later, at the beginning of the seventeenth century. Another tradition involves sowing Vetch in small basins with cotton wool; it is watered and kept in a closed dark cupboard. Seeking light, the plant grows extremely long and white with little green tips, in December it is taken out and placed near baby Jesus. Christmas Day is celebrated with the family. Christmas lunch in Malta consists mainly of turkey. A typical Maltese Christmas sweet is the qaghaqa tal-ghasel 'honey ring'. British traditions have influenced the Maltese Christmas. It is very common to see Christmas Crackers on the dinner table and plum pudding is also served with most Christmas meals. 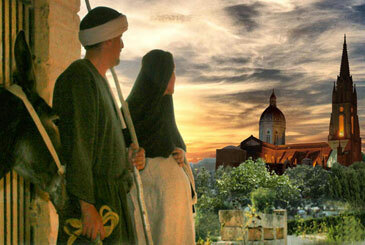 In recent years the village of Ghajnsielem in Gozo has started a curious tradition. In 2008 some abandoned fields close to the village centre were converted into a Nativity village. The initiative proved so successful that it has been repeated annually ever since. Over 150 actors take part in this live animation of a mini Bethlehem, complete with craftsmen going about their work, farmers and shepherds, and of course the Holy Family as centre of attention. This quaint (and free) attraction is open on most days from the 6th December to the 4th of January. Commerce inevitably plays a big role in Christmas and is obviously vital to retailers. The main shopping streets, as everywhere else, get the Christmas makeover and in recent years the main shopping drags of Valletta, Sliema and other places have vied to outdo each other in lavish decoration. Christmas is a good time to be in Malta. The weather is normally warmer than most of the European mainland and a sunny Christmas week is par for the course in most years. Be aware that there is a slowdown on Christmas and New Year’s Day in particular. If you are planning on eating out it is advisable to book your Christmas lunch or dinner early. If you are without a car and need to travel be aware that public transport normally shuts down on both days between 12pm and 3pm – bus drivers are entitled for their Christmas lunch with their families after all. Merry Christmas – or as the Maltese are more likely to tell you “Il-Milied it-Tajjeb”.